The top-seeded Texas Longhorns had no problem in defeating the Oklahoma Sooners 4-1 in the men’s NCAA match play quarterfinals on Tuesday. 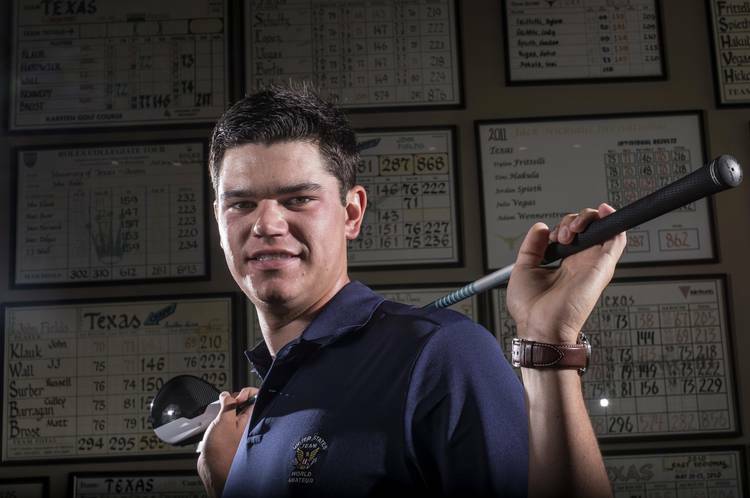 Beau Hossler defeated Blaine Hale 1 up after falling behind after the third hole. On the day Hossler was named a PING first team All-American by the Golf Coaches Association of America he fought back to make the match all square on the sixth hole and took the lead on the tenth. He was 2 up after 13, but dropped just one hole after that to hold off Hale. Doug Ghim took another win for Texas as he dominated his match with Max McGreevy 7 and 6. Ghim led from the first hole and never looked back. Taylor Funk won 6 and 4 over Grant Hirschman, taking the lead after the fourth hole. Gavin Hall took his match against Brad Dalke 4 and 3. Luke Kwon was the only Sooner to win his match, defeating Scottie Scheffler 4 and 3. The win for Texas pitted them against the fourth-seeded Southern Cal Trojans. The Trojans defeated Vanderbilt 4-1. The two teams began match play on Tuesday afternoon. On Monday, the Longhorns completed a comeback in stroke play, climbing from 12th place after the first round to a top-seed finish for match play. Texas shot 287 on Monday and 1,134 overall to finish at 14-over par, one shot ahead of second-place Illinois. Hossler led the charge overall, shooting a 280, including a 73 on Monday, for even-par. He finished in fifth place a day before being named an All-American for the second straight year. Taylor Funk had the low round of the day, shooting a 70 for an overall score of 290, 10-over. Doug Ghim had the second-best finish among Longhorns during stroke play as he shot 286 overall, 6-over. His 71 on Monday marked his third-straight round with that score, putting him in a tie for 22nd. Gavin Hall was one shot back from Ghim, shooting 287 for a tie for 26th. Oregon’s Aaron Wise won the NCAA individual title, shooting 5-under par.